NAIDOC (National Aboriginal and Islander Day Observance Committee) is an Australian observance lasting from the first Sunday in July until the following Sunday. Celebrate this important occasion with specials available to Aboriginal communities and councils. Please call 03 9566 4500 to place an order. 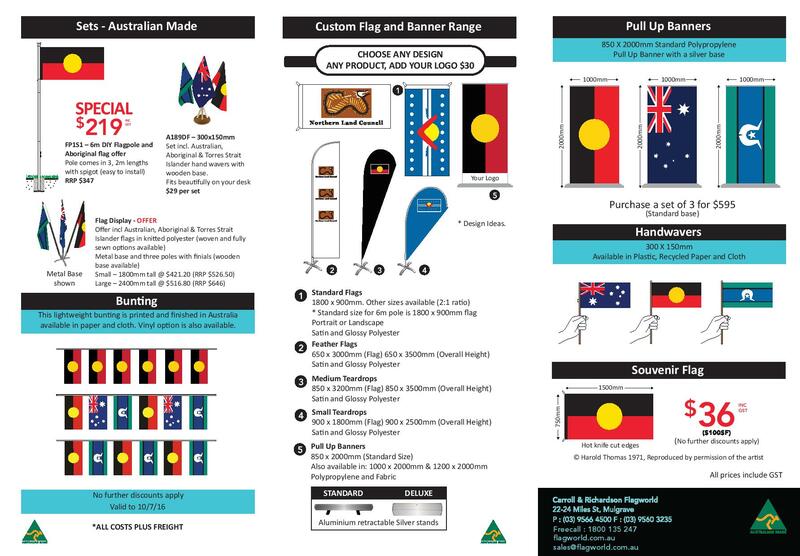 View our full Aboriginal product range here. View our full Torres Strait Islander product range here. Download a PDF of the brochure displayed below.